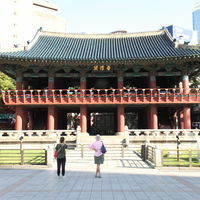 Bosingak is a large bell pavilion on Jongno in Seoul, South Korea. 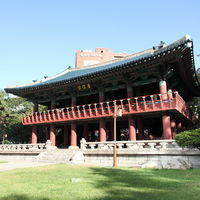 The bell in Bosingak gives Jongno its name, which literally means "bell street." 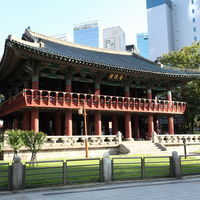 In modern times, the bell is rung only at midnight on New Year&apos;s Eve. Because of the massive number of people who attend this ceremony, Metro trains on Line 1 of the Seoul Subway do not stop at Jonggak Station on New Year&apos;s Eve.